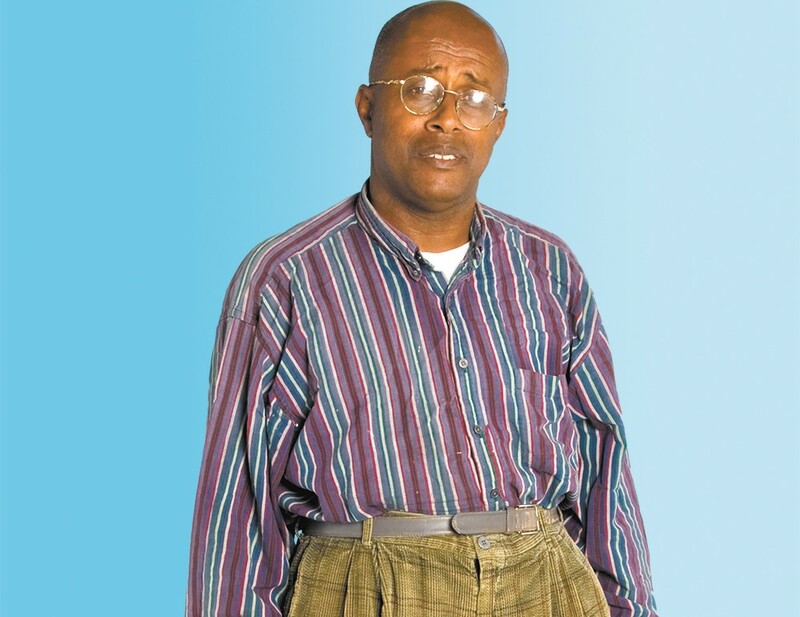 What we know: multi-talented artist David Liebe Hart has awesome dad style. Last week, I had an 11-minute phone conversation with David Liebe Hart. He cut the call short to drop off some of his Christian sheet music at a Baptist church somewhere in Oregon, but before that, he briefly spoke of his faith, travel and how he communicates with aliens. For someone who's worked on Adult Swim's Tim and Eric Awesome Show, Great Job!, has played outside the Hollywood Bowl on and off for decades and been interviewed by some of the top music publications, there's still a lot of mystery surrounding the 61-year-old renaissance man. As the artist is playing several shows in the Pacific Northwest this month, it's time to delve into the strange world of David Liebe Hart. His comedy isn't for everyone. Like Neil Hamburger (real name Gregg Turkington), a character comedian famous for a terrible combover and yelling at his audience, whom Hart has opened for on occasion, Hart's off-kilter brand of comedy and music is a lot for some folks to handle. But if you're into slightly nonsensical lyrics about outer space and technology and lost loves, often strangely voiced through slightly creepy puppets, then this is the stage show for you. Don't be afraid to get comfortable with the uncomfortable — especially with cheaply made, psychedelic backing videos. He played Spokane last year. Hart, who was at the Bartlett last August, is back this Friday at the Big Dipper as part of a musical comedy experience also featuring a couple of local improv groups and garage rock band the Smokes. The show will likely bring quite a few laughs and some head-scratching moments. Hart says that he's performed in Spokane many times, including in the 1990s with his ex-wife, when they performed with a contemporary Christian band. Jonah "Th'Mole" Mociun is his current professional partner. "He's got me booked up like an Arby's sandwich," says a sleepy Hart last week of Mociun, a musician in his own right and Hart's current producer on several projects, including last year's Astronaut. Prior to working with Mociun, Hart collaborated with fellow public-access TV personality Adam Papagan for six years. Currently, Mociun is Hart's current travel companion and backing musician. Expect a couple of his tunes as well during the show, including something from his recent falsetto rap album Chip The Black Boy, the name of one of Hart's puppet characters. He says he communicates with aliens. He says aliens abducted him at a young age. His grandmother also spoke to this race of humanoids called Corinians, he says, and he still chats with them on the phone. His best-known song, "Salame," discusses many of these interactions. "Jonah doesn't believe me," Hart says. "There are so many doubting Thomases. I once put Jonah on the phone with an alien I was talking to and Jonah just ran them away. He told me he couldn't hear anything on the other end, but that's because he wasn't open enough to the experience." His past is somewhat murky. He says that he's been playing music since he was a child growing up in Chicago, writing songs in his bedroom. Always writing songs and thinking about trains. He says on the phone that when he got out of the Navy he became a schoolteacher and then an actor. He grew up in the Church of Christ Scientist (not to be confused with Scientology). While on the road, Hart says he likes to incorporate some religiously themed tunes into his set, but "Jonah is Jewish, I have to fight him for it." He says he doesn't drink or smoke and is quite invested in Christian Science teachings; recently, he released the first DVD of Junior Christian Teaching Bible Lesson Program, his L.A. cable access show which ran over a 20-year period and taught kids the importance of things like staying in school and steering clear of gangs.